Hello! 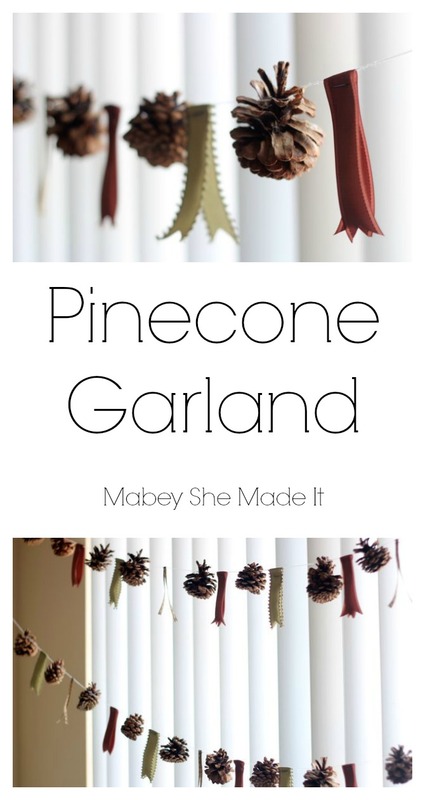 I’m Lisa Mabey from Mabey She Made It, a DIY, craft, and sewing blog. I’m so excited to be here at One Krieger Chick today because I love so many things about Ariean’s style and pretty much everything she does! 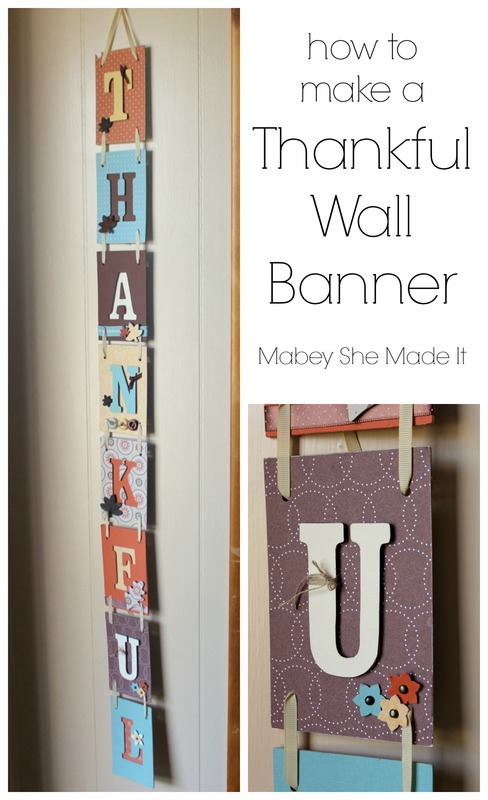 Today I’m sharing a Thankful wall banner that I created for a little wall right by our front door. It’s really narrow, so not much fits here, but I wanted something to greet my visitors and to make this space a little less boring. This isn’t a super quick project because I customized all the letters differently, but it definitely wasn’t hard. Follow along as I show you how I did it! While I’m not going to do a full tutorial for each letter, I’ll walk you through the basics of how I created the whole door hanging. Adhere your scrapbook paper to the front of your chipboard rectangles. Let dry, and trim any excess. Cover your chipboard letters with scrapbook paper or by rubbing your letters across an ink pad. Tie ribbon or string around some of the letters as desired. Adhere the letters to the chipboard squares using glue dots or a hot glue gun. Add buttons, chipboard leaves, paper, and other decorations to the rectangles as desired. Using a Crop-a-Dile or other strong hole punch, punch holes in each of the four corners of your chipboard rectangles. Tie the rectangles together using small lengths of twine or ribbon, and use a longer piece of ribbon to create a hanging loop at the top. And a huge thanks to Ariean for letting me guest post! Thank you so much for your sweet intro (and for having me)! You are so welcome! I’m always happy to have you! I’m really glad we crossed paths at SNAP…I love keeping up with all of your projects on your blog. Hard to believe we are almost done with the year! Such a pretty banner for Thanksgiving. I love it too! The details are my favorite part. I love it!! Beautiful!! Love how you made it vertical instead of typical horizontal. Love, love, love it!! It turned out really pretty…Lisa does beautiful work.